A genuinely pleasant place to live. Very quiet complex and everyone that lives here, so far, seems to be very nice. Staff is quick to respond and always helpful. 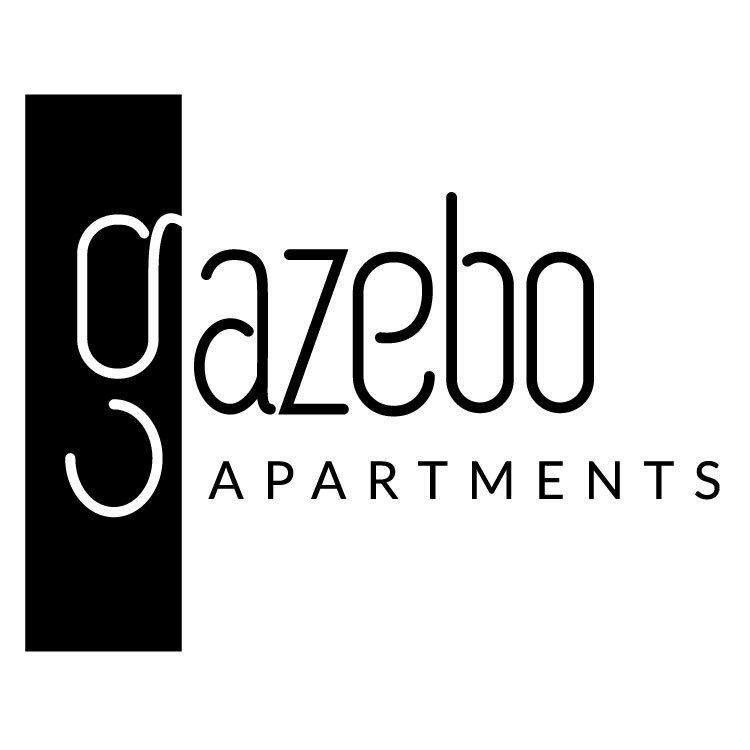 My experience at gazebo has been by far the best I have had with apartment living. The price is fair for the nice townhouse we are renting, and the amenities are awesome. Another thing we really like about gazebo is that maintenance is always very fast and friendly. Thanks! Gazebo is a wonderful community with awesome staff and well-maintained landscaping. We really appreciate living at Gazebo and have so much fun with our neighbors and at the CARES Events. I absolutely love the staff at Gazebo. They are extremely friendly and the community events are so much fun. There are only two things that I wish were different and they are very minor. First, I wish that the pool was open later than 8. Every other apartment I've lived at the pool closed around 10 and night swimming it a lot of fun. The second thing that I wish is that there was a second set of dumbbells in the gym. Besides those two small details I absolutely love living here! Great place to live. Close to downtown. Friendly and caring workers. Quick to fix any problem. Three unique pool areas. Friendly neighbors. Gated community. This is a great and safe place to live. They have very attractive grounds that are well kept. However I've experienced occasional problems with neighbors, such as drug use and loud screaming at 1 a.m. I love the community! My roommate and I love going to the pool, using the tennis courts and going for walks. The community events are so great!! It's such a great way to meet new people!! The front office and maintenance staff are great. The grounds are kept very nice. My only complaint is that the pool areas are not always clean. I enjoy living at Gazebo. It doesn't take long to get any requests accomplished. The community features are awesome along with the community get togethers. Love living here. There's a lot of community events and the staff are friendly. It's also a very convenient location. I can get to downtown in just 10 minutes! Some old things like AC, heat, cabinets, ect need to be replaced. Otherwise, staff and maintenance are great! I have always been able to get something fixed that day or within 1-2 days. Great place to live. i have been here for 2 years now and love it. My daughters live with me and they have also been here for 2 years and they love it as well. There are benefits to living here, but I also feel like the office staff is inconsistent and do not always have the best interests of the residents at heart when it comes to real issues. I have gotten to the point of mostly not wanting to contact them unless absolutely necessary. So far we have loved it! Been here a little over a year with no problems. We also love that we are able to keep our big puppy with us as most places wouldn't allow such a large dog! We have referred many people to gazebo. We love it! The beginning was a little rough around the edges but once we moved in things got a little better! Hopefully, things will keep getting better. I didn't have a good experience center with gazebo at first but since about 2 months ago everything has been wonderful. Great maintenance staff too! It's been great ! Always comunity events going. Never really had any problems the staff is always very helpful if we ever need something done in the apt. Maintenance always takes forever and I had a package waiting at the office and they gave it to my roommate even with my name on it (I didn't tell my roommate to pick it up). The Gazebo apartments are a great place to live. The Gazebo apartments staff are always quick to repair anything you need in your apartment. Great neighbors. Great response rate for service calls. Close to Briley and 65 so it's just a hop skip and a jump to most places in Nashville. I really enjoy living here. I feel safe and comfortable! The pools are super nice and everyone is friendly! Maintenance is always fast! I enjoy attending the monthly parties the apartment throws. A lot of fun! Overall living here is great! Nice landscaping and overall upkeep, timely maintenance. The quality of the apartments and the service provides matches the price you pay. I lived in a 3 bedroom apartment with two roommates for 3 years (2012-2015). the apartment was really quite spacious as compared to other apartments in nashville the office staff is fantastic! It hasn't been the best, but it could be worse. The complex is very old and the rent is very high. No matter how many times you "newly renovate" an apartment, it's not going to make it any younger. Sometimes things like a/c units are going to need replacing. Not temporary coolant fill-ups. Wasps nests are very common also.